A freight train derailed on the city's Far South Side, affecting commuter train service between Chicago and northwest Indiana Monday night. 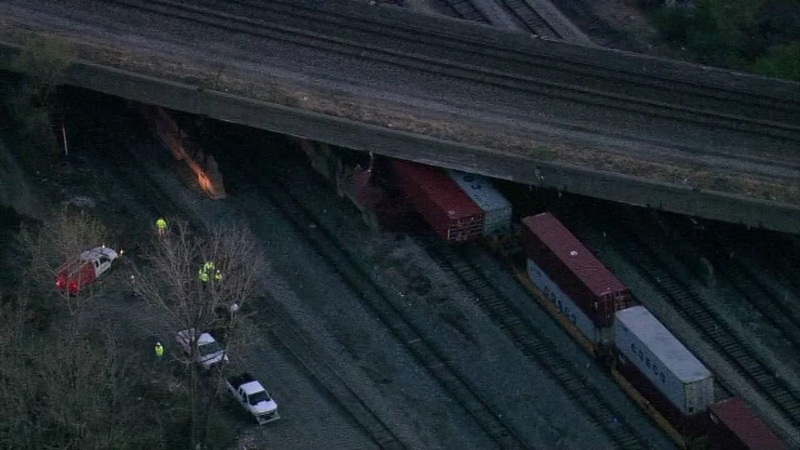 CHICAGO (WLS) -- A freight train got stuck under a bridge on Chicago's Far South Side, creating a big mess for commuters heading south out of Chicago Monday night. A shipping container on a Canadian National freight train hit a bridge near 105th Street and Cottage Grove Avenue in the city's Roseland neighborhood, impacting service on the South Shore Line. Metra's Electric District trains were not affected. Metra honored South Shore tickets Monday night. Crews were able to move the train around 9 p.m. South Shore trains were moving again shortly afterward. CN spokesman Patrick Waldron said although Northern Indiana Commuter Transportation District officials described the incident as a derailment, no freight cars were found to have left the track.